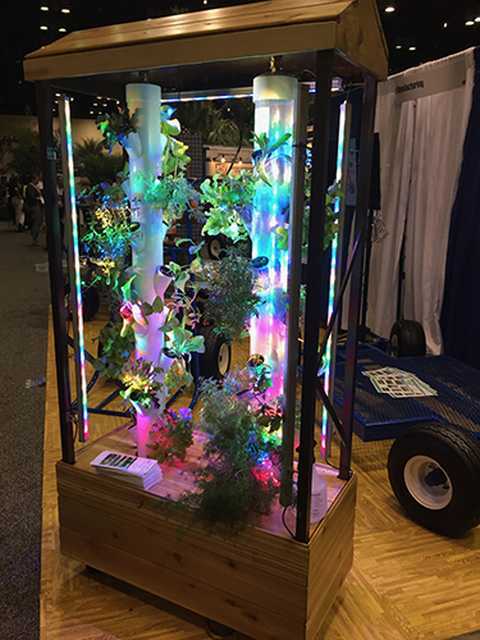 Grower-retailers have once again named their favorite new products, this time as part of the Cool Product Awards at The Landscape Show 2017 in Orlando, FL. Awards were presented to 12 companies, representing 14 products. The Garden Center Group’s Danny Summers led the product search and presented the awards on the Trends Stage on the show floor. Garden retailers and landscape professionals in search of the best new products selected both live goods and hard goods for their businesses. A special thanks to all retailers participating in the Cool Product Awards selection process. The awards were a joint presentation by Florida Nursery Growers & Landscape Association and The Garden Center Group. Check out the slideshow above for a closer look at the products receiving recognition (listed by company in alphabetical order).